FBI Director James Comey said today his agency is not recommending that charges be brought against Hillary Clinton after a yearlong investigation into her use of a private email server while serving as secretary of state. "Although there is evidence of potential violations of the statutes regarding the handling of classified information, our judgment is that no reasonable prosecutor would bring such a case," Comey said in a news conference. "In looking back at our investigations into the mishandling or removal of classified information, we cannot find a case that would support bringing criminal charges on these facts," he added. Comey said that the FBI spent "a tremendous amount of work over the last year" and that now the case is headed to the Department of Justice which has the ultimate say when it comes to any "prosecutive decision." He noted that FBI investigators read all of Clinton's approximately 30,000 emails that were provided to the State Department in 2014. Of the emails turned over to State, 110 emails in 52 chains contained classified information when sent or received, said Comey. Eight of those chains contained "top secret" information at the time they were sent, 36 chains contained "secret" information and eight had "confidential" information - the lowest level of classification. There were about 2,000 other emails that were, he said, "up-classified to make them confidential," meaning that they were not classified when they were initially sent. The FBI also discovered "several thousand" work-related emails that were not among the group returned to the State Department in 2014. Those emails were found by reviewing archived government employee accounts in addition to "millions" of email fragments that had been deleted but remained on an old server. Although the FBI did not find evidence that Clinton or her colleagues intended to violate laws, Comey chastised Clinton's actions as "extremely careless." "There is evidence that they were extremely careless in their handling of very sensitive, highly classified information. For example, seven email chains concerned matters that were classified at the top secret, special access program at the time they were sent and received," he said. Clinton used several servers and administrators of those servers for a personal email domain during her four years at the State Department, according to Comey. She also used numerous mobile devices to send and read emails on that personal domain. This was the first public confirmation that she used multiple servers to store her emails. She has repeatedly asserted that she never sent or received classified information through her private server, but today Comey contradicted that. The FBI was able to retrieve some deleted emails, in what he called "a painstaking undertaking requiring thousands of hours of effort." Comey said that Clinton's lawyers did not read through each message before turning the emails over to the State Department. Instead, her lawyers relied on headers and search queries. He said there was no evidence that work-related emails were deleted in an attempt to conceal them. Comey said that it was possible that hostile actors gained access to Clinton's personal email account, despite a lack of "direct evidence." He said that, given the nature of the system and of the actors potentially involved, it would be unlikely to see such direct evidence. The FBI did determine that hostile actors gained access to the private commercial email accounts of people with whom Clinton was in regular contact from her personal account, according to Comey. He said that because her personal email was known by a large number of people and because she used her it extensively while outside the United States, including in territories of "sophisticated adversaries," it was possible that hostile actors gained access to her email account. While it wasn't the focus of the FBI investigation, Comey said, investigators found evidence that the security culture of the State Department was "generally lacking" in safeguarding classified information. 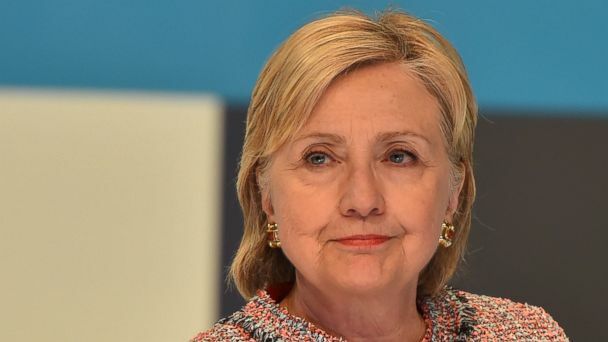 The announcement comes three days after a Clinton representative confirmed that she had a "voluntary" meeting with investigators over her use of a personal email server during her time as secretary of state. A Clinton aide said the interview lasted about 3 1/2 hours at the FBI headquarters in Washington, D.C.
Pierre Thomas, Mike Levine and Justin Fishel contributed to this story.